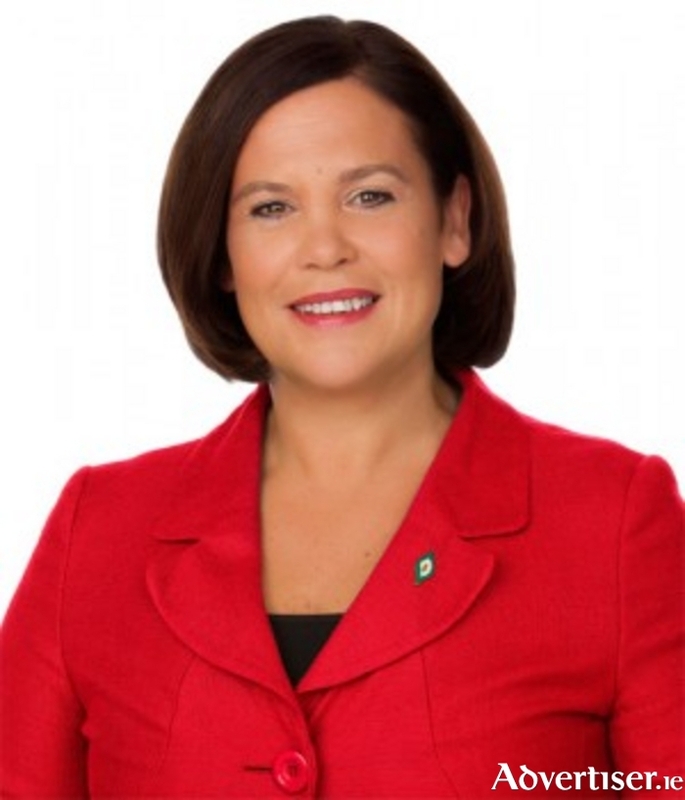 Sinn Fein Deputy Leader Mary Lou McDonald will be in Mayo this weekend attending a number of events. Sinn Féin Deputy Leader Mary Lou McDonald will attend a number of events in Mayo with her party colleagues Senator Rose Conway Walsh and local councillors tomorrow, October 7, to discuss Sinn Féin’s alternative Budget 2018 proposals. Speaking ahead of her visit to Mayo the Sinn Féin Deputy Leader said: “Sinn Féin will be launching our fully-costed Budget 2018 document over the coming days. Our budgetary proposals, if implemented by Government, would address many of the issues affecting rural communities today. “My colleague Senator Rose Conway Walsh has highlighted the severe shortage of physiotherapists and occupational therapists in the public health system in Mayo. Sinn Féin’s alternative Budget 2018 provides for an additional 600 frontline staff including speech and language therapists, and physiotherapists in the health system to increase capacity and reduce waiting lists. Our proposals also include measures that will support farming families. Sinn Féin’s policy on agriculture and food is to make the family farm prosperous and to maintain a farming industry that provides careers and a livelihood to Irish men and women, including those of the next generation. Dep McDonald will be in Balla Mart on Saturday morning, followed by a stop at the Women's Forum which will take place in the Ivy Tower Hotel in Castlebar at 1pm, which is open to the public, that will be followed by an evening engagement in Westport at the Sheena Campbell Commemorative Event.